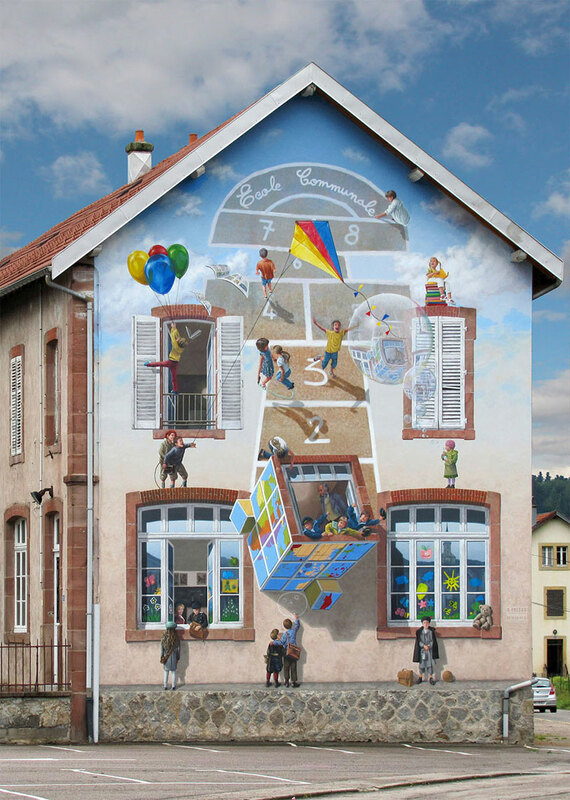 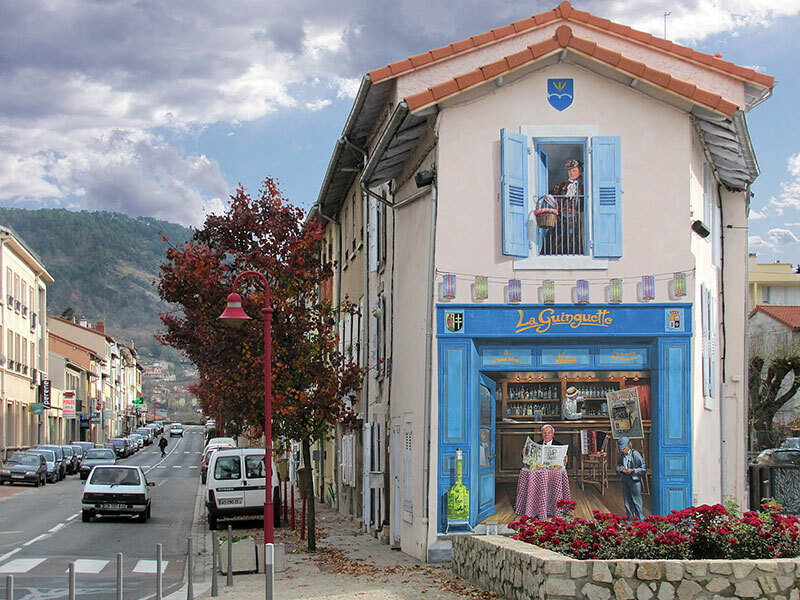 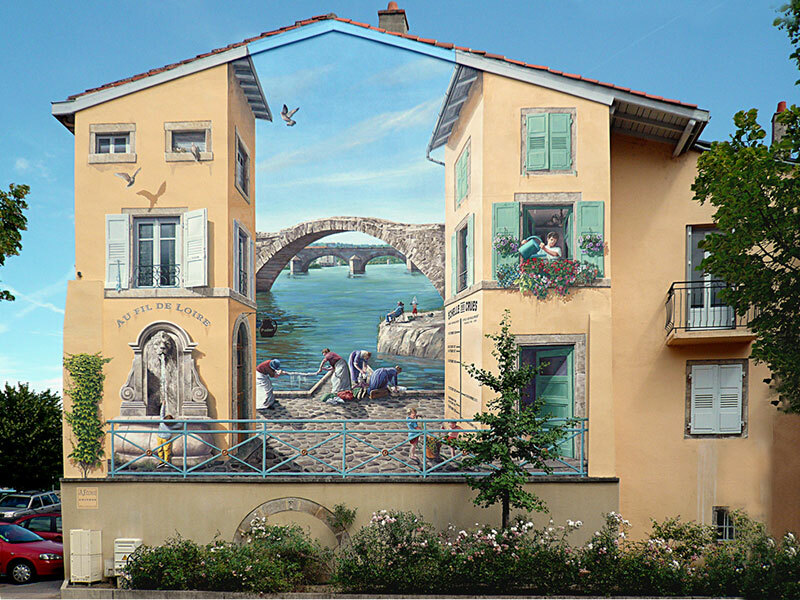 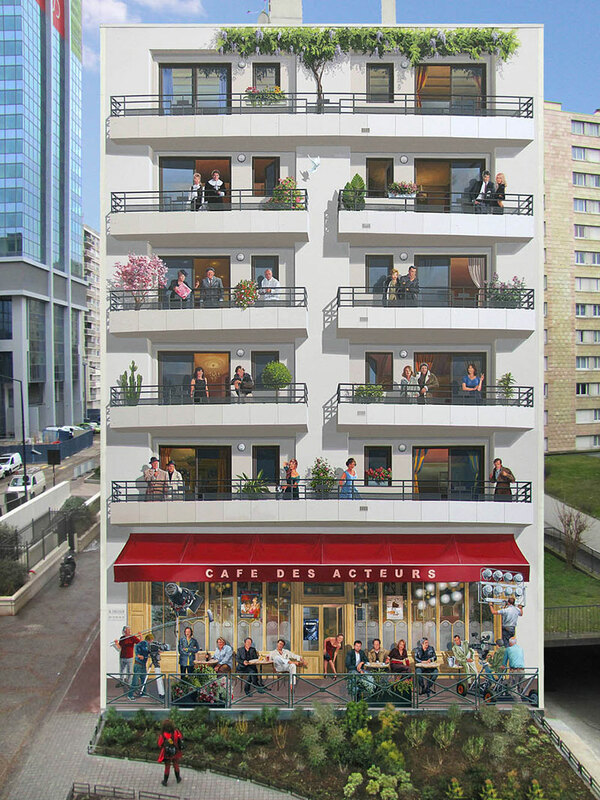 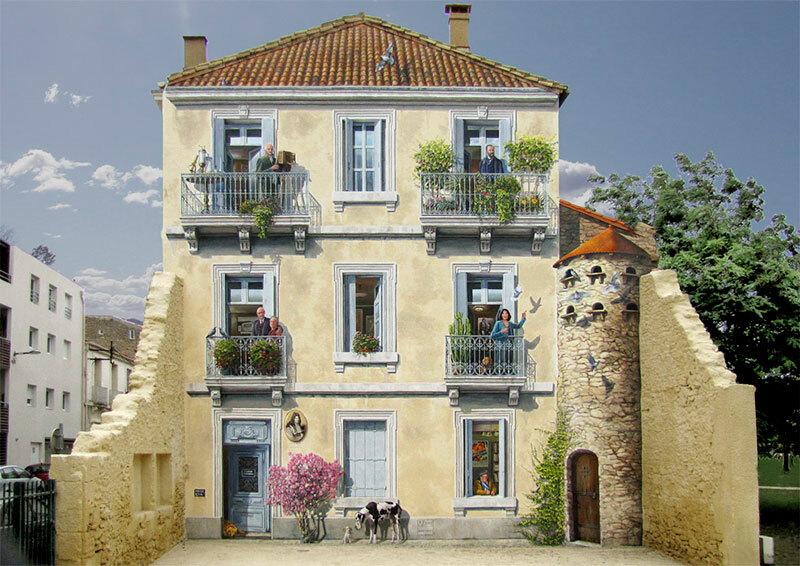 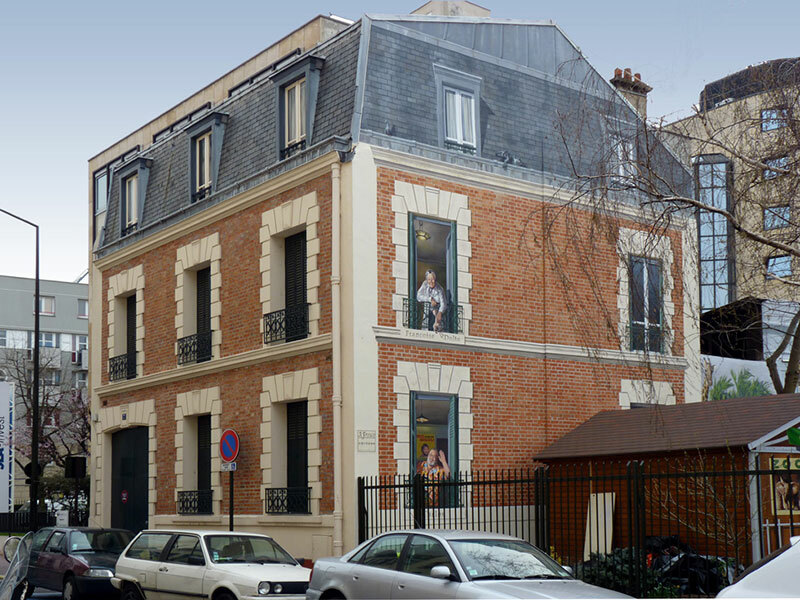 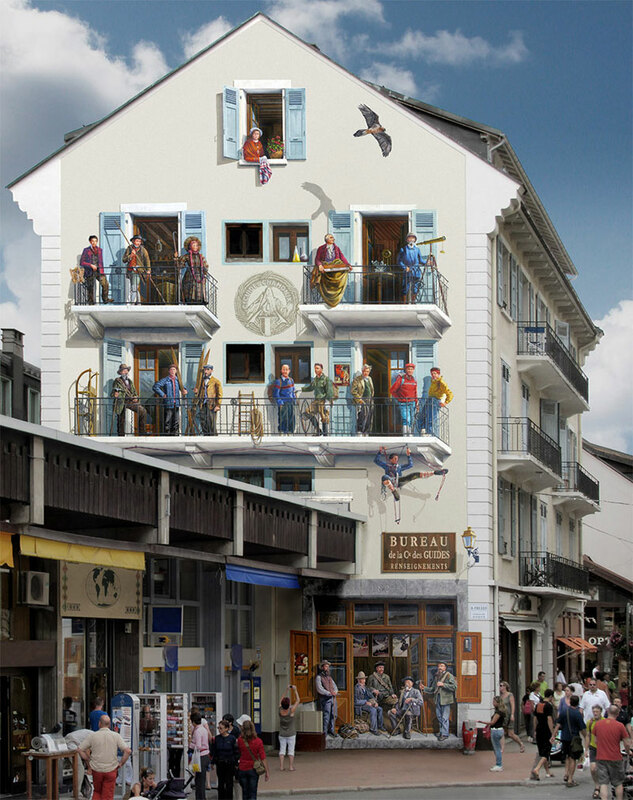 Mural paintings by French artist Patrick Commecy that transforms bland building facades into vibrant scenes. 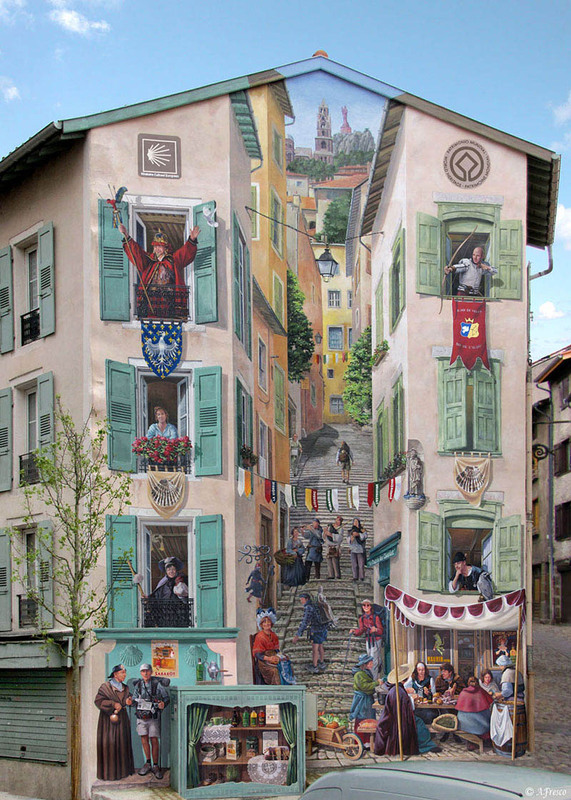 Each of these frescos are done in trompe l'oeil, an art technique that uses realistic imagery to create the optical illusion that the depicted objects exist in three dimensions. 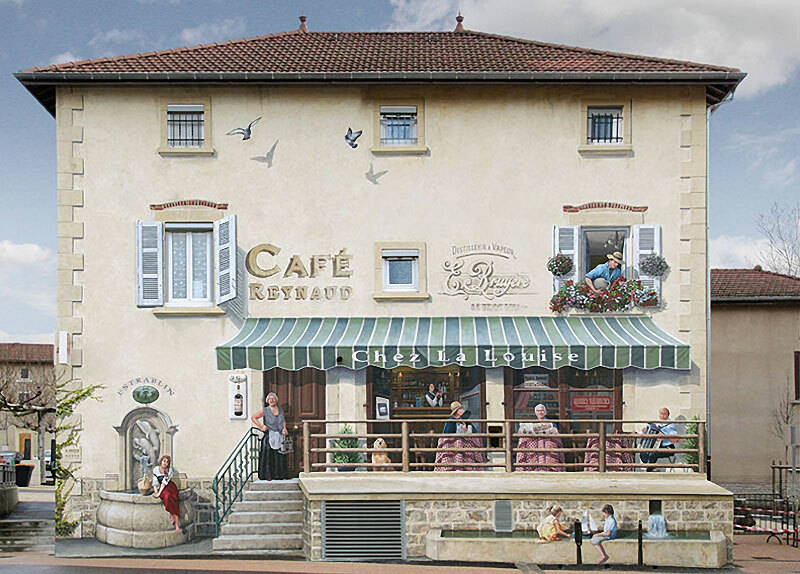 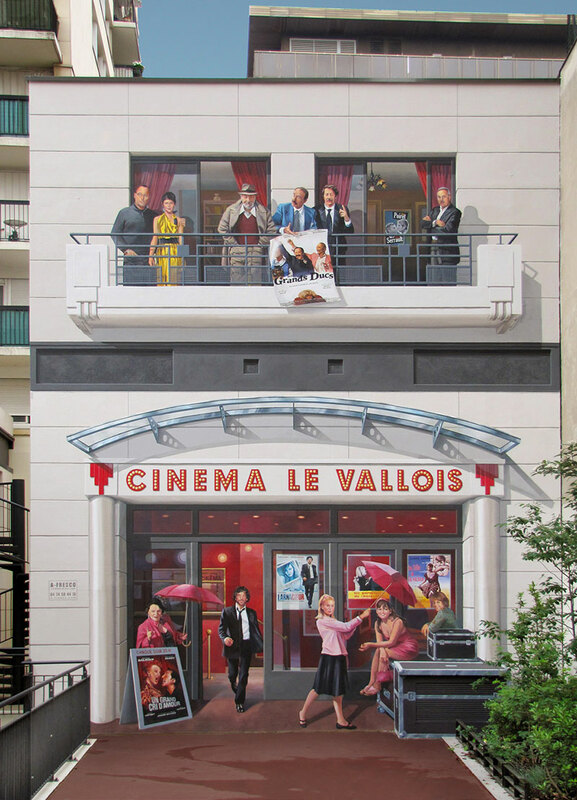 Commecy uses a team of 2–30 mural painters, depending on the size of the project, to create these paintings all over France that depicts the identity and history of the city. 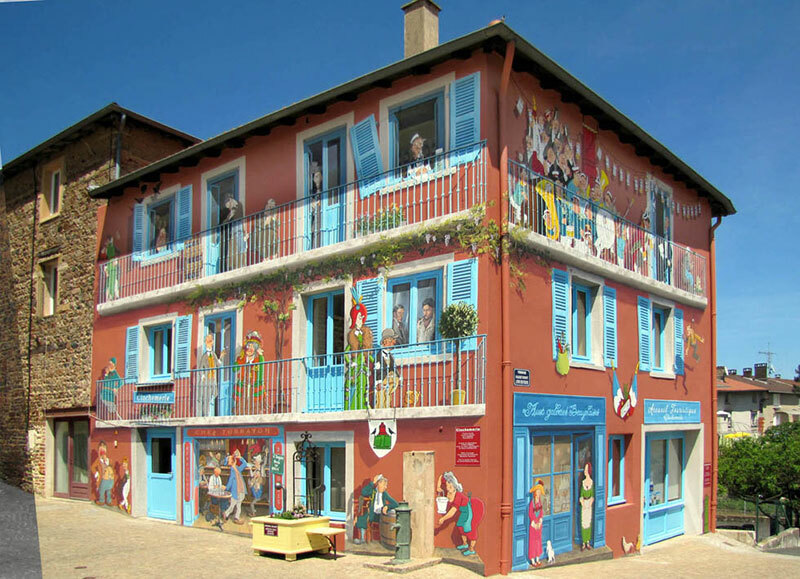 The frescos not only enriches the city's cultural heritage but has also become a source of pride for the locals and the building owners. 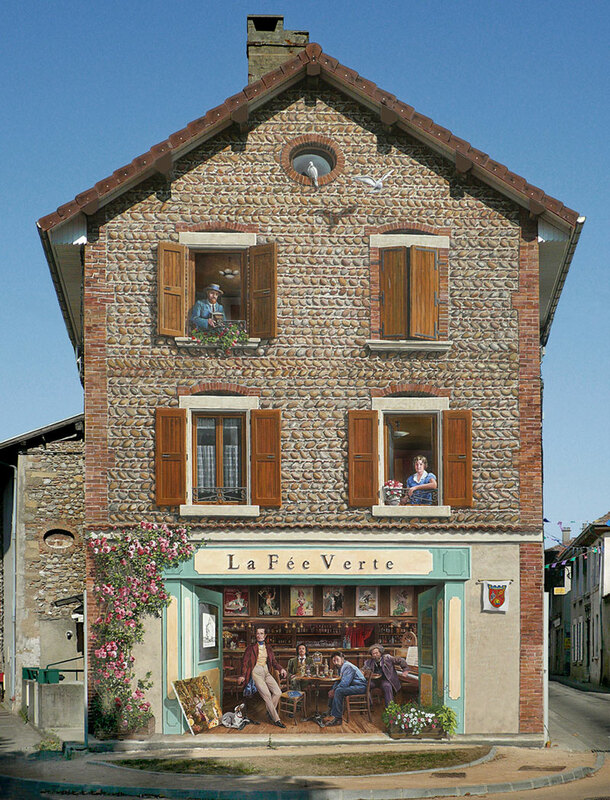 Mural paintings by French artist Patrick Commecy that transforms bland building facades into vibrant scenes.